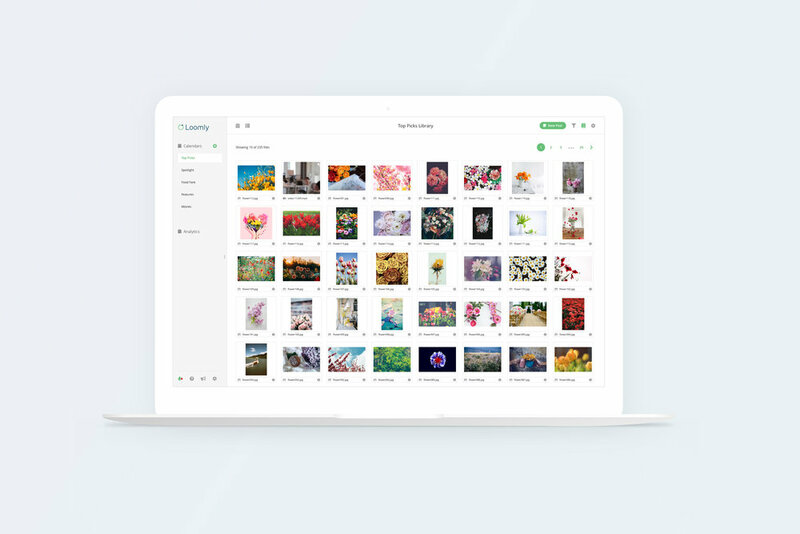 Loomly, a social media management app. The stakeholders had an aging product that needed to be elevated to current product standards to compete with competitors. Landing and various marketing pages also had to be updated to current trends and web standards to draw in new users and convert sign-ups. There was unfortunately no Product Manager, so I worked with the stakeholder to understand business goals, conduct user research, establish product strategy, enable lean design, and oversee product implementation. I worked with the stakeholder to understand the business goals, user goals, and to define success. From there it gave me a roadmap and direction of what to focus on. Based on investor requests, elevate brand and product for Series A funding. Update marketing pages to drive new sign up conversion rates to at least 15%. Add premium features and increase subscription pricing model. Iterate product to bring in more customers, but keep valuable features to retain current users. Introduce better onboarding for new users. Help current users understand existing features. Add user requested customization of certain features. Establish agile processes and user research to de-risk product features. Update UI and design systems to current trends. Create more robust features for users and compete with competitors. Refine analytics to measure success. Streamline user flows and eliminate pain points to decrease support tickets. After establishing goals with the stakeholders, the first project I was tasked with was to iterate on the marketing landing pages. As the first impression potential customers were to see, this was priority to increase sales, grow conversion, and satisfy investors requests. We had a low sign up in the past quarter from our landing pages. A lot of our support questions from Intercom were also asking to clarify pricing and the subscription modal. The yearly vs monthly pricing was confusing to users and driving down sales. I looked at our Google Analytics and Mixpanel to investigate. I found that users were not navigating to our features pages or spending more than a minute on our home page. Our hypothesis was that our landing pages were not clear and friendly enough for users spend time on. I collaborated with the stakeholders to understand what success looked like. In this case, they were looking for an increase of 10-15%. Create a clearer user journey and narrative to describe the product use cases. Link sections to pricing and features. For features, included straight forward points and created friendly illustrations to accompany simplified language. Included screenshots of product. Emphasized the free trial and no credit card at the start of sign up to ease users. After we launched, I collaborated with the stakeholder to monitored percentage of unique visits in correlation to sign up rate and had the customer support team track the number of incoming tickets for features and pricing. After the first month, we saw a significant 30% increase in sign up with unique visitors. With the success of the marketing pages, I continued with a product redesign overhaul. I established our user persona and with the help of customer support I connected with 5 current users. I created a user interview and usability testing guide. Sessions were 1 hour. The first half hour was to validate user persona and behavior, and the second half was a usability test around the existing product. My goals were to understand how our users were fitting Loomly into their daily tasks and what pain points they were experiencing. It was also important for me to see what features they loved and make sure any changes we made didn’t hinder them. I collected the insights into an assumptions chart, mapping out potential areas of the app to iterate on and what areas to de-prioritize our attention. Building posts are the main goal of users. Publishing posts are the secondary goal of users. Users frequently publish posts through Loomly. Users frequently use Loomly to monitor upcoming posts. Users frequently use the Dashboard. Users frequently use the List View. Users frequently used the Analytics. Users frequently use Post Ideas. Based on all user interviews, user typically skipped the Dashboard and headed straight to their calendars often by bookingmarking their calendar url in their browser. I made the suggest to disregard the dashboard as such in the product. In general this is a trend most management and utility products favor. In general, this is the view that users are managing the most. It was important to compact a large amount of info in a small space without feeling overwhelmed. I approached this by selecting neutral colors, focusing on familiar iconography, and featuring only the most important info. Part of the feedback from users was that building a post often felt tedious. 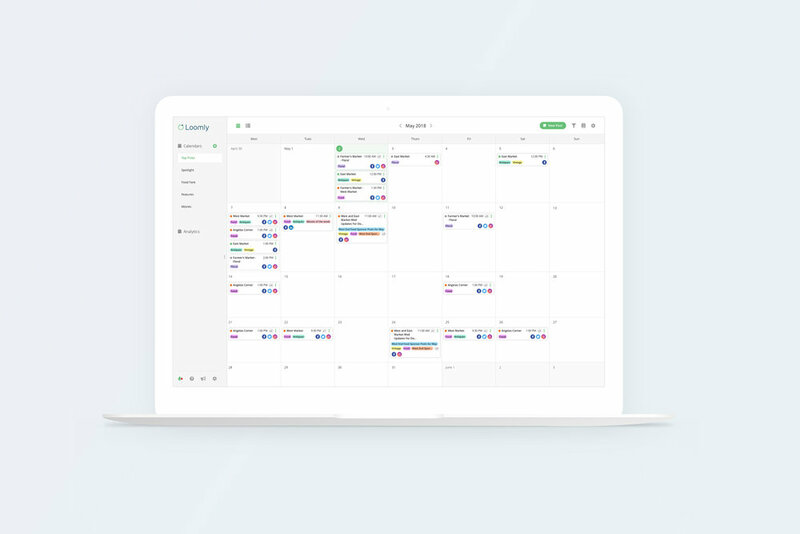 Users created most of their posting strategizes in the beginning of each month and wanted the production process to be quick so they could access the calendar view and see their plan laid out. I focused on making this part distinct and minimized any distractions such as the menu bar. This also translated well into consideration of mobile responsive. Here I also introduced an anchored bar where user could quickly access post saving options. Once stakeholders were onboard with the designs, I conducting usability testing with another round of users with the new designs. I wanted to make sure the new layouts worked and I wasn't eliminating any features users would miss. Users responded well to the knew designs and had ideas for new features. Development stories were written, and I paired with full-stack developers to implement UI changes. We decided to roll out the new changes gradually as to not shock current users. With the user research findings, I collaborated with the stakeholders to prioritize the road map. We also mapped out our strategy for testing to a beta audience before releasing. 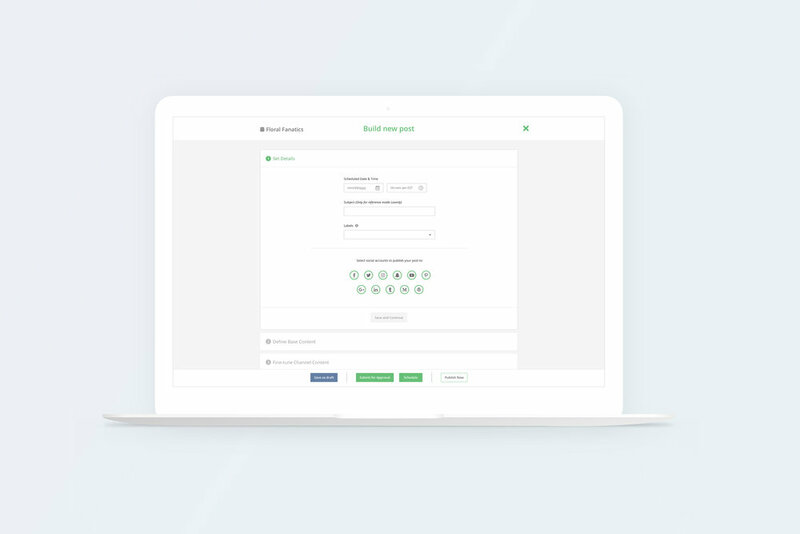 We would measure response through monitoring Intercom and support tickets, tracking page visits through Mixpanel, and having beta users complete a quality survey.